The horrifying school shooting at Sandy Hook Elementary School shocked the conscience of the nation and has led to impassioned pleas to Washington to finally take action to rein in gun violence. Will those calls be heeded, or will the powerful gun lobbies yet again carry the day? Our guest, Shikha Hamilton, is Vice President of the California Chapters of the Brady Campaign to Prevent Gun Violence, which educate and mobilize their communities to advocate for sensible responsible gun laws, regulations, and public policies at the local, state, and national levels. Shikha is also the President of the San Mateo/Santa Clara County Chapter of the Campaign and has served as a national spokesperson for the Million Mom March, a grassroots effort to demand effective gun control legislation. 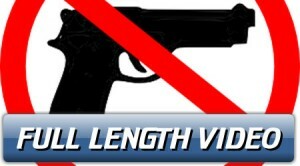 This entry was posted in Videos and tagged gun violence by PPJC Admin2. Bookmark the permalink.